JH Nunn's product range is one of the largest available. We have industrial totes that interface with automated materials handling systems as well as totes that are ergonomically designed for manual handling. 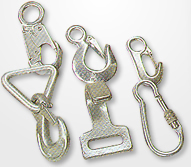 We offer quality, durability and a variety of features to meet a wide range of applications. 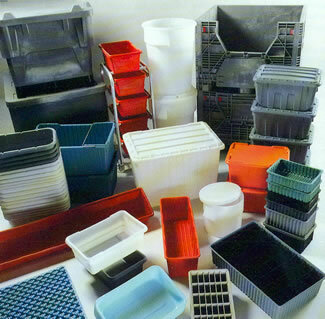 Plastic totes are widely used in storage, material handling, product assembly and shipping in closed loop systems. Our Industrial totes come in a wide variety of sizes and styles. Our totes are injection molded from high-density Polyethylene or Polypropylene materials. 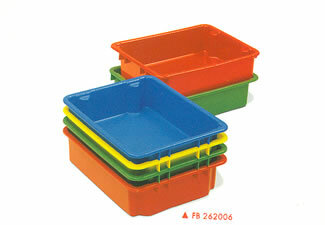 We have industrial totes that comply with USDA and FDA regulations for use in food processing. We also have Conductive totes that are used in the electronics industry to protect static electric sensitive electronic components. Some of our industrial totes stack, some nest, some stack and Nest and some are collapsible. We offer dividable grid totes which can be used in industrial, commercial electronic, and health-care industries for storage assembly Fabrication and distribution applications. 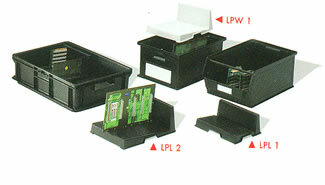 These totes offer the most effective method for dividing in protecting small to medium-size parts in one container. Dividers allow the customer to customize the Totes to meet their exact needs. Covers as well as dividers are available for these totes. We offer strong, reliable and reusable totes with permanently attached hinged lid systems that open in the middle and interlock for strength and security. Side and bottom ribs ensure maximum load capacity. Some of these industrial totes can stack 4 high holding 100 lbs. The Euro tote comes in 72 sizes with five footprints with heights from 3 inches to 16 1/2 inches. These containers are designed for high cube utilization strength. They are made of high-density Polypropylene utilizing ribs and reinforced bottoms for extra strength and durability. 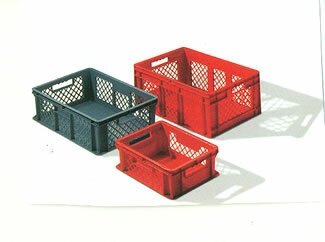 Many of these industrial totes come in several colors including red, gray, blue and black. Injection molded Polypropylene can withstand temperatures from -4°F to +176°F. 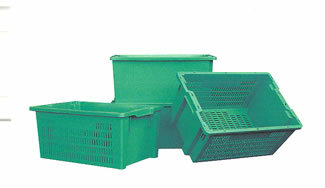 Our industrial totes range in size from 8" x 6" x 5" to 48" x 15" x 11". 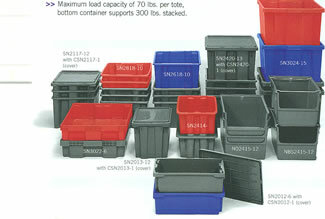 Contact JH Nunn to order the plastic totes you need, or to learn more.